For over 45 years, Ecumenicus has been manufacturing high - quality loom - woven stoles from Leffe, Italy - the birthplace of the weaving industry to the western world. 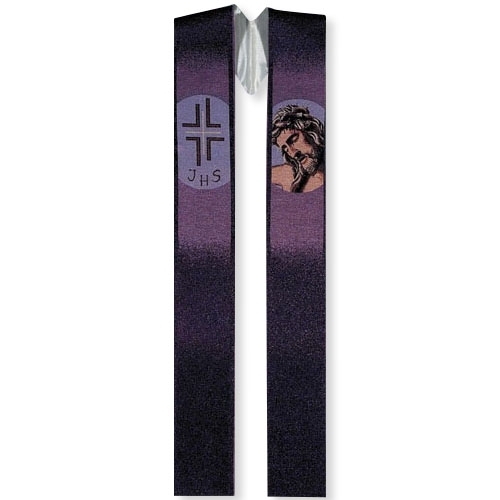 This exquisite Head of Christ overlay stole design boast luxurious fabrics with hues of purple coloring and embroidered threads of the image of the crucified Jesus and cross symbol. This stole comes fully lined and hand - finished by skilled tailors.